To help you narrow down your choices, we’ve come up with some of the best indoor mat putting greens that you can buy today. When it comes to choosing a putting green, there are a few things that you have to take into consideration. First is you need to consider the space. Where do you intend to use it? You also have to consider your playing level and budget especially since there are several choices to choose from. The StarPro Professional Practice Putting Green is designed to help you improve your game. It is designed to give you that real putting experience with its superior turf and multiple targets. What you will like about this putting green is that it gives you that true feel. It has no ramps, sponge or folds which make you feel as if you are really playing the golf course. In addition, it has a center focus target that stops the ball. In every putt, it shows left or right of the dead center. When buying the StarPro, it comes with 5 Starball cups, 1 set of no. decals and 5- 12’’ flags. The putting green is made from nylon face with pre-coat rubber and Aquatech non-skid base which is built to last. Another quality putting for you to have good practice is the Putt-A-Bout Grassroots Par Three Putting Green. It features a kidney shaped green (9 by 3ft) giving you 3 cups perfect for practice targets. The green has sand traps that are designed to catch your missed shots. Made from 50 poly/20 foam, you get to have a putting green that gives you that quality putting surface that is smooth. So even if you are going to use this putting green for a really long time, it will stay smooth. The size is big enough which makes it a good choice even for indoor putting. 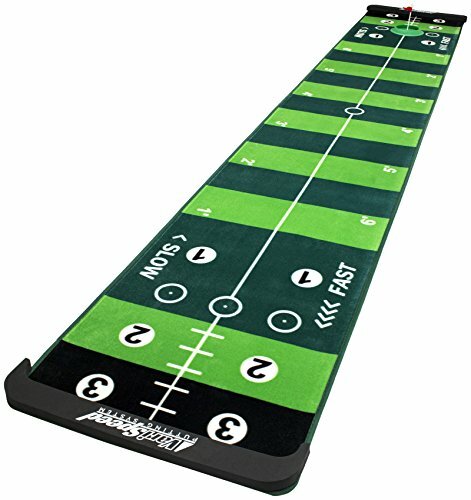 With the ProActive Sports VariSpeed Putting System, it makes the practice really fun and you get to play 4 varying speeds on one mat. With this putting green, you get to experience how it is to play on a golf course. Compared to other choices, you can customize the speed and even add breaks using the adjustable wedge based on your preference. You can choose among 4 stimp test speeds. Another feature of this putting system is that it has mat fibers that enable you to see the path of the putt with the help of ball traces. When you buy the ProActive Sports VariSpeed Putting System, it comes with a booklet illustration that you can use for effective training exercise as well as fun games. The SKLZ Accelerator Pro-Indoor Putting Green is designed to give you that realistic putting conditions so you can practice and hone your putting techniques. At 9×16.25 in. 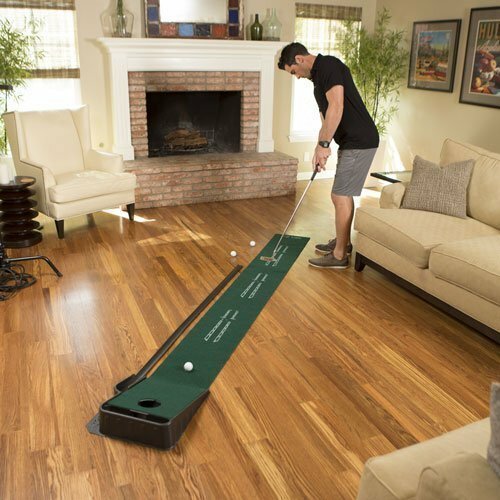 wide, you can easily use this putting green in any room or even in patios. It has alignment guides at 3 key putting distances which give you a more consistent motion. This allows you to have better control and accuracy. This putting green has a lot of amazing features. For one, it features ball returns that enable you to continuously train. This allows you to work on your consistency for every putt. 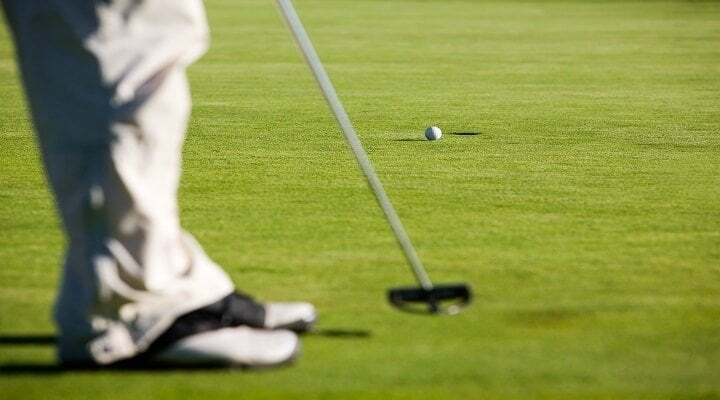 Since it has a premium turn, you can practice your putt lengths as it gives you that actual playing condition you get to experience when you are on the golf course. 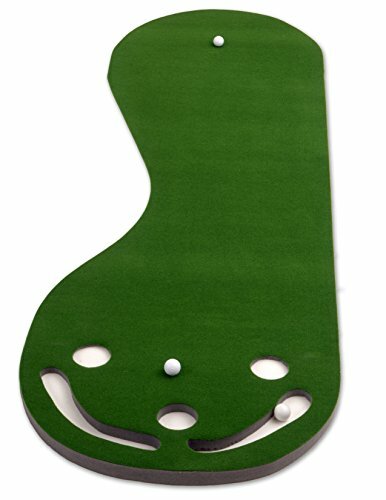 Made from short green grass, the OUTAD Indoor Golf Training Mat Putting Green System has just the right size that perfectly fits any room or space. If you are looking for a quality putting green that is specially designed for professional golfers, it features a premium turf that allows you to practice your putt lengths on a realistic putting condition. With its quality, this putting green is built to last. It is very easy to clean and rolls out really nice when you set it up. Whether you need it for office or residential use, this putting green is a good choice. 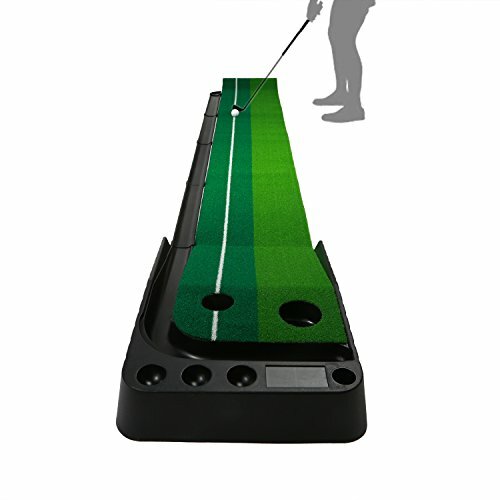 Having a putting green is very useful as it allows you to practice and improve on your putting techniques and have better motion even when you are not on the golf course. Depending on your preference and your playing skill, you can easily choose which putting green suits you best. These are just some of the best indoor putting greens that allow you to play and practice to improve your playing style and techniques.